This is a beautiful balsamic vinaigrette recipe, with a refreshing hint of orange. As with most vinaigrette recipes, this one includes a little bit of Dijon mustard for flavor and to act as a binding agent and pull it all together. The recipe calls for a tablespoon of honey. 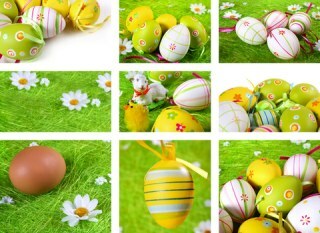 It is wonderful with the honey, but if you can’t eat the sugar, simply leave it out. Whisk together all ingredients in a small bowl. Make sure it is well mixed. Pour over your salad and serve immediately. Any leftover salad dressing may be refrigerated for a day or two, no longer. 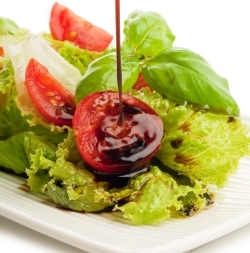 Although this balsamic salad dressing has a touch of honey, most vinaigrettes do not call for sugar at all. You can easily leave it out, or if you can’t eat sugar but still want the sweet, you can replace it with something like agave or your stevia. Remember if you choose a sugar substitute, that they are much sweeter than sugar or honey, so use only the amount that replaces the honey, not an equal amount of sugar substitute. If you need diabetic recipes and you can’t tolerate the honey, just make it without. And note the replacement suggestions above. I dont’ add any kind of sweet to mine and I love it. If you like this balsamic vinaigrette recipe, have a look at our other amazing salad dressing recipes here and here.